When it comes to marketing methods, direct mail is still an effective way to reach potential clients, as well as stay in contact with existing clients. Furthermore, when considering ‘open and read’ rates, direct mail statistics show it’s a consistent performer; research indicates that over 99% of people open mail, 60% read it thoroughly and a further 39% scan it for items of interest. And, importantly 54% store it for later reference. Direct mail literally gets into the hands of your audience and can engage all five senses: sight, sound, smell, touch and taste. You can personalise your message to make it more appealing and captivating. For example, use your reader’s first name. You can target specific audiences within your local market with tailored messages for greater impact. Research shows that 82% of people check their letterbox daily and an additional 11% check their letterbox every two days. You can track and analyse the response rate, effectiveness and the return on investment of your direct mail campaigns. Sending thank you cards and Christmas cards are still a way of making your clients feel valued. 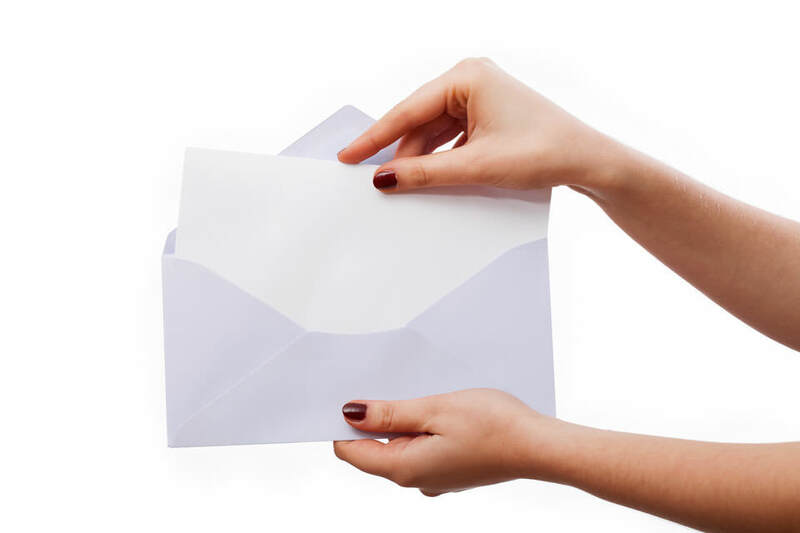 Lumpy mail is an envelope that clearly holds something that is bulky or lumpy. Curiosity will compel the recipient to open it and your message will be received. Adminlink Plus can assist in having your direct mail professionally written by our copywriters. After final approval on the content, we will post your letters to ensure they’re received in a timely manner to coincide with your offer or promotion.